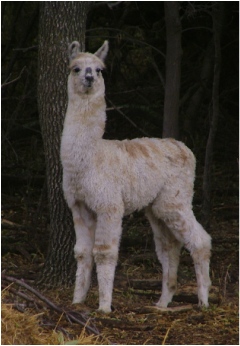 This young male is out of two of our best llamas! ...Doppler and Fantasma. Another stunning son of Doppler. He has gotten beautiful color, fiber, fiber coverage and bone structure from both parents. 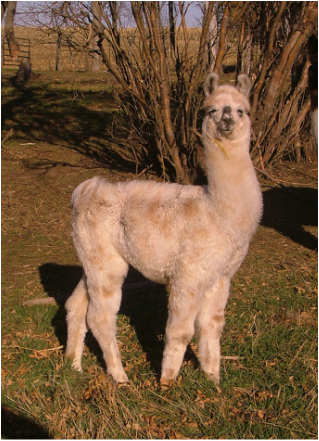 This cria has a silky type fiber. He has fiber from "stem to stern" like both of his parents! He is so conformationally correct, amazing fiber and coverage, beautiful heavy bone structure and such an easy going personality. I just can't say enough about this male! This male has the potential to be herdsire extrordinaire! Price: ﻿No Longer Available! Thanks!